With a stream of activities and visitors expected over Christmas, it is only wise to do your cleaning before. To avoid the last minute rush you need to book the cleaning services early else you will be disappointed. What Are Some of the Areas Which Need to be Cleaned Before the Holiday? You will need to clean floors thoroughly before you bring in the Christmas tree to avoid embarrassing dust particles. You do not want your visitors to find dust lurking in corners as they are placing their Christmas gifts. If you are hosting visitors you may have to clean your floors after the holiday is over. For this reason, reduce the workload by cleaning the floor before. This is because chances are that you will be exhausted after all the hosting during the holidays. Cleaning closets before is recommended if you are hosting friends over. This creates room for your visitors to put their things away. It also frees up space for any gifts that you receive that may need to be stored away in closets. Those cobwebs that you seem not to notice might be made conspicuous by Christmas lights. So much lighting is expected over the holidays and you can sweep the cobwebs away using a feather dust to avoid embarrassments. Clean windows allow more light inside the house. More light inside the inside is necessary in order to bring out the sparkle in the Christmas decorations. Grimy windows can dampen your Christmas decorations faster than you expected. Your kitchen is expected to be super busy over the holiday. With all the baking and cooking that itâ€™s supposed to handle, you will be delighted to work in a clean kitchen. It will be more enjoyable for you and your visitors to bake in clean ovens and have clean working surfaces. Dusting your entire house before the visitors arrive will give you a supply of fresh air. This will help you and your visitors to breathe easily. Furthermore, your visitors will love hanging their coats and stockings in clean mantles. Now that we have covered the areas that you will need to clean, let us now focus on the reasons you need to book your cleaning before the holidays set in. Booking your home cleaning early allows you enough time to sort things out before the cleaning team arrives. It allows you ample time to even pay online so you don’t have to worry about having cash in the house. Before you can even blink after the Thanksgiving holiday, Christmas is already here. Christmas carols are playing everywhere. 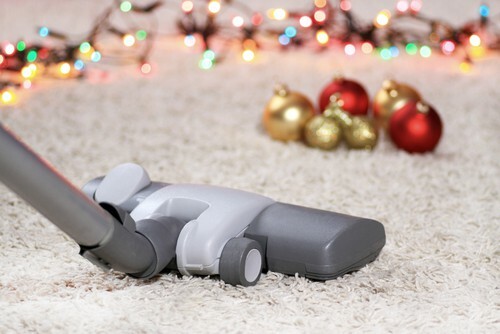 Booking your cleaning services before Christmas holidays will save you sleepless nights wondering when you will ever get the house ready for Christmas. Do not waste your energy cleaning your house from top to bottom before your visitors start streaming. Save the energy to entertain your visitors. Hire professional cleaners and have a sparkling house ready for your visitors. You will have more fun if you are not too fatigued. There seems to be a million and one things to do before Christmas day. You have tonnes of shopping to do. Apart from buying grocery, you need to shop for Christmas gifts. If you combine the shopping struggle and house cleaning, trust me, you will be in no mood to enjoy Christmas. You should book for professional cleaners to take this off your back as you plunge into a shopping spree. After all, it’s Christmas and it comes once a year, you can relax. Cooking in a messy and dirty kitchen isn’t fun at all. Again, you risk accidents in the kitchen which could have been avoided had you booked your cleaning earlier. You might not be the only one to be using your kitchen over the holidays too so save yourself the embarrassment of a dirty kitchen and have it cleaned earlier. Nothing is more enjoyable than baking those fresh cookies in a professionally and freshly cleaned oven. You will even be surprised to see that you can fit more food in your cleaned fridge. Donate more of your time in charitable activities. Christmas also means being there for the less fortunate members of the society. Instead of sweating out scrubbing floors and pans visit that children’s home you have been meaning too. If you engage professional cleaners, you will free up more time that you can donate. The few hours that the cleaning team will be in your house can be volunteered in charitable deeds. If anything, so many charitable organizations are looking for volunteers over the holidays. Be physically present to host visitors and be there for your family. Spend time with them instead of making up with presents. The time you could be spending cleaning can be used to go out to watch a movie with your spouse or kids as your house is getting cleaned by professionals. When you engage professional home cleaners, you will be able to focus on other details about the Christmas party. This will mean that your party will kick off with no major hitches since you will be able to put all your focus on the party. You will also be giving your body a break. You can go for a walk or for a massage as the house is getting cleaned. This means you will be better relaxed to host your visitors. Imagine how refreshing your new year will be in a clean house? This is what you get when you get your house cleaned by experts before Christmas. Your entire house will be sparkling clean come the New Year.